(VEN) - Le Méridien Saigon, the first hotel of Le Méridien global chain of upscale hotels & resorts in Vietnamispleased to introduce exciting Food and Beverage promotions at the stylish Latest Recipe restaurant and chic Latitude 10 lounge. In July and August, Latest Recipe offers 30% discount on both lunch and dinner buffets from Monday to Sunday.Lunch time at Latest Recipe promises to deliver a great dining experience at only VND 378.000++ per person that includes a buffet with endless local and international salads, appetizers, soup, pastry, freshly baked pizzas and fresh seafood combined with daily a la carte main course menu selections. A free flow of freshly ground Illy coffee and Ronnefeldt tea are included. The discount rate is not applicable for Sunday Brunch. The Latest Recipe dinner buffet selections are not to be missed. Witha packagesset atVND 826.000++ per person on Sunday – Thursday andVND 899.500++ per person on Friday – Saturday both inclusive of a free flow of beer, red and white wine, Illy coffee, Ronnefeldt tea and soft drinks. 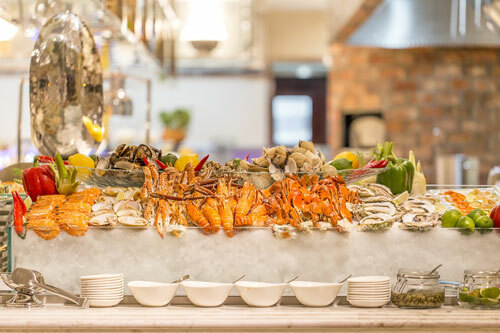 The buffet offers elaborate freshlygrilled fish, seafood and meat stations, sushi and sashimi, an international cheese selection, freshly baked pizza and a nightly carving station, a variety of both international and local specialties and of course the very best our pastry chef has to offer. Overlooking the peaceful Saigon River, the Latest Recipe is one of the most coveted spots in Ho Chi Minh City, featuring a stunning open showcase kitchen that offers eclectic a la carte menus and creative buffets featuring fresh seafood, nightly carving stations and a balance of both Vietnamese and International specialties and favourites. Located in the lobby level, the Latitude 10 associates invite you to enjoy special Happy Hour deals with a 30% discount on their signature sparkling cocktailsfrom 17:00 – 20:00 (Monday - Sunday). In addition, Latitude 10 offers daily drink specials as stated below. 01 complimentary “Le’ Tini” with a purchase of01 Le Méridien signature cocktail. 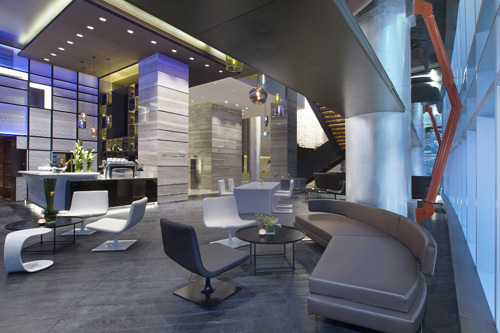 With its sleek decor, Latitude 10 bar and lounge is the ideal retreat for a quiet reflection or stimulating discussions with friends over fine Illy coffees to pair with a beautifully made Éclair.